Corn is an all-time favourite, so is cheese. Put these two together in the form of a crunchy yet soft-centered deep-fried dish, and you have a chartbuster. Bread rolls made of bread slice and vegtables deepfry in oil. Serve with korriandar and mint chutney and ketchup. The word pakora is derived from Sanskrit pakvava?a- a compound of pakva 'cooked' and va?a 'a small lump' or its derivative va?aka 'a round cake made of Gram flour fried in oil. 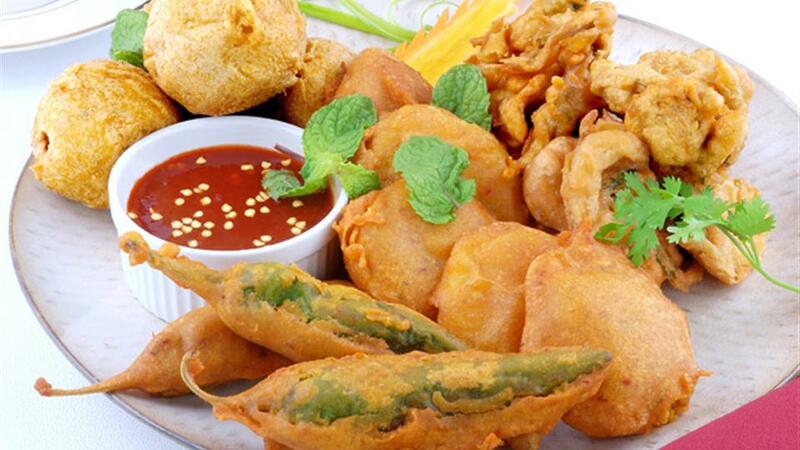 Pakoda is taken to mean a mix of finely cut onions, green chillies and spices mixed in gram flour. This is rolled into small balls or sprinkled straight in hot oil and fried. These pakodas are very crisp on the outside and medium soft to crisp inside. The Vegetarian Spring rolls is a classic Chinese dish made from homemade wrappers filled with stir fried vegetables. can experiment with bean sprouts, noodles and other vegetables. The crunchy and delicious taste of these rolls makes it perfect to serve for parties. samoosa is a fried or baked pastry with savory filling, such as spiced potatoes, onions, peas, lentils.The samosa originated in the Middle East (where it is known as sambosa) prior to the 10th century. They were introduced to South Asia (India, Pakistan) during the Muslim Delhi Sultanate when cooks from Middle East and Central Asia migrated to work in the kitchens of the Sultan and the nobility. Its size and consistency may vary, but typically it is distinctly triangular or tetrahedral in shape. Indian samosas are usually vegetarian, and often accompanied by a mint sauce or chutney. Paneer is a fresh cheese common in South Asian cuisine. It is an unaged, acid-set, non-melting farmer cheese or curd cheese made by curdling heated milk with lemon juice, vinegar, or any other food acids. Its crumbly and moist form is called chhena in eastern India. 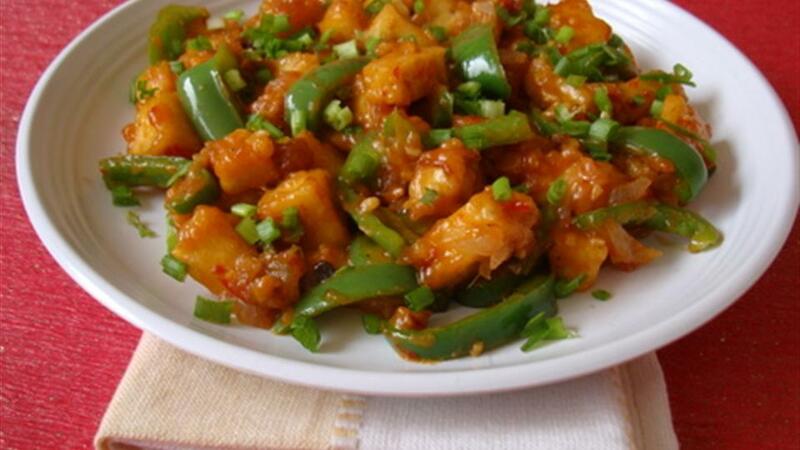 Chilli idli is an Indo Chinese style of cooking up the idlis(steamed rice dumplings) with Chinese Sauces. 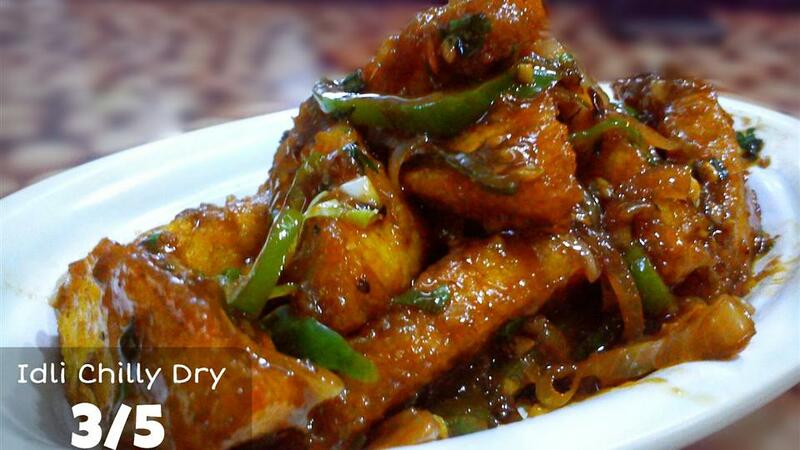 It’s a dry preparation and does not involve any deep frying, so it will not become greasy and mushy. The idlis will hold their shape very well despite cooking in the sauces.